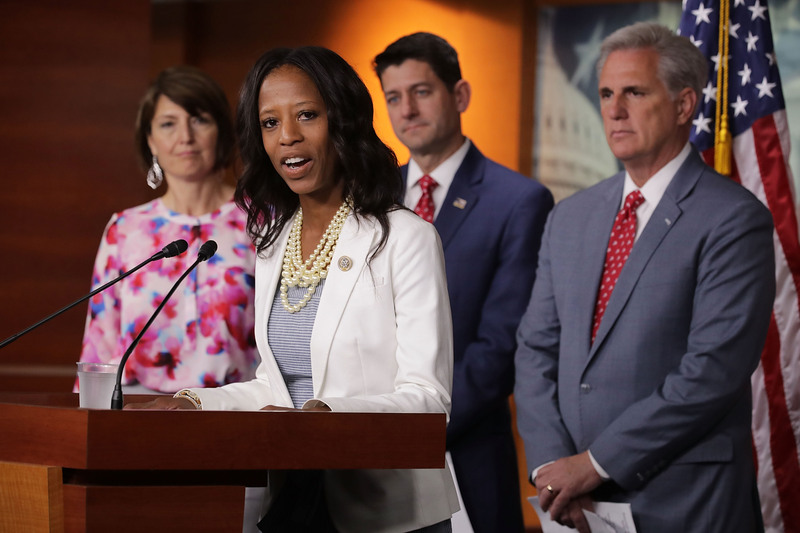 Outgoing Republican Utah Rep. Mia Love went after President Donald Trump and the Republican Party for shunning “real relationships” for “convenient transactions” during her concession speech in Salt Lake City Monday. Trump had slammed Love for distancing herself from him and his policies during her campaign when it appeared likely she would lose her re-election bid. Love was defeated by Democrat Ben McAdams by 0.2 percent., 50.1 percent to 49.9 percent, according to The New York Times. Love criticized Republicans during her concession speech. “I’ve seen the cost to conservatives for not truly taking people into their hearts. Democrats saw newly elected black members and women to Congress in this election. This is a matter of fact that Republicans lost in this regard,” Love said according to Fox News. Incumbent Love led McAdams in the polls until late October, when a poll gave McAdams a 6-point lead. Love has represented Utah’s 4th Congressional District since 2014, but McAdams proved to be a tough challenger who campaigned as a middle-of-the-road candidate. He has been elected as mayor of Salt Lake County twice — and that county holds roughly 85 percent of the 4th District’s residents, according to The New York Times. Love was one of several midterm candidates who filed suit over election processes in November. Her campaign filed suit on Nov. 14 to pause ballot counting until a judge addressed her allegations that poll monitors did not allow Love’s campaign to challenge the authenticity of ballot envelope signatures.